In today’s deals Amazon is still selling its Fire TV Stick with the Alexa Voice Remote for just $29.99, which is $10 off its normal cost. That savings doesn’t sound like a lot but at the low cost of the item it’s already almost half off the regular retail price which makes it a pretty good deal. Amazon doesn’t say when the deal expires but it does list it as a limited-time offer, so you’ll want to hop on it as fast as you can if you’ve been considering one. If you’re a Prime member, it’s even eligible for free one-day shipping. In addition to the Fire TV Stick with Alexa Voice Remote, Amazon currently has the Ultimate Ears WONDERBOOM speaker on sale for just $60 right now. This is normally $100 so this is a pretty goo deal for a speaker that’s not only portable, but also waterproof thanks to the IPX7 rating. Beside being able to withstand spills, it’s also built a little bit rugged like most of the speakers from Ultimate Ears, so a drop or a ding shouldn’t hurt it. 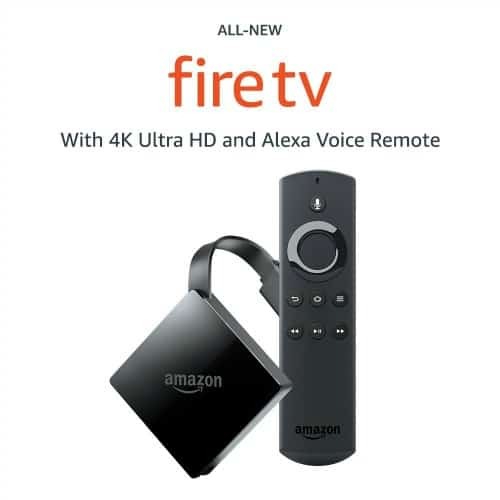 If you want a little more out of your streaming TV experience and don’t mind paying a little bit more, then Amazon has you covered here too as the Fire TV is also on sale in addition to the Fire TV Stick. This is the newest model with the pendant design and 4K Ultra HD video support, and it also comes with the Alexa Voice Remote meaning you can use the remote to speak to the Fire TV unit and stream shows, or even order pizza from Domino’s should you need something to eat before you find something to watch. 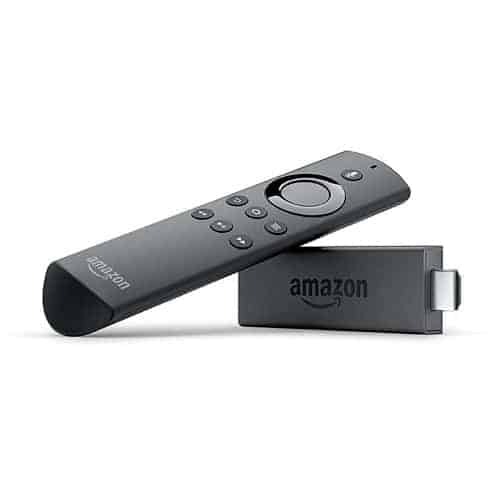 The Amazon Fire TV Stick With Alexa Voice Remote is your ticket to easy viewing of all your favorite content, streamed right to the TV or monitor it’s plugged into thanks to the power of Alexa, as you can simply press the button on the remote and speak to it if you want to watch to watch something. All you need to do is ask it to play your favorite shows. The Fire TV Stick will allow you access to content like Hulu, Netflix, HBO, SHOWTIME, Prime Video and more, and it easily plugs into any HDMI TV or monitor and just needs a wall outlet for power. Amazon Fire TV Stick With Alexa Voice Remote$29.99Buy Now! Ultimate Ears is known for their quality speakers that offer up plenty of useful functions, and the WONDERBOOM is no different. Like many of the speakers on offer from UE it comes with an IPX7 rating for water and dust resistance, and this is portable so it’s easy to carry around with you just about anywhere you might want to stream some music. It comes in multiple colors from Black, to Red, to Pink, to Blue, so you have your pick of plenty of options to suit your personal tastes. It can be used at up to 100 feet away too, and it has a battery life of up to ten hours so you can keep streaming music most of the day. 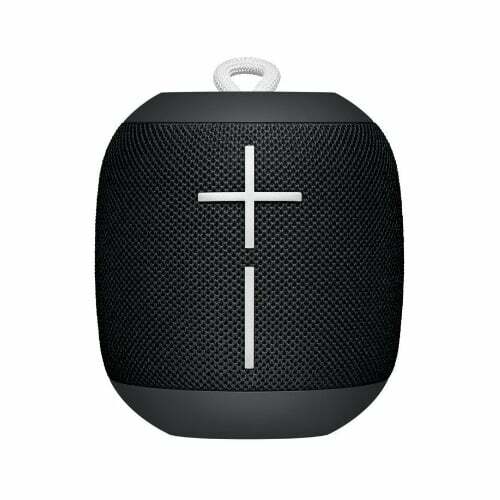 Ultimate Ears WONDERBOOM Bluetooth Speaker$59.99Buy Now! Amazon’s latest Fire TV product comes with an Alexa Voice Remote for easy control of watching your favorite shows, and it supports 4k UHD content so if you have a TV that supports this as well then you’ll be in for some excellent clarity and sharpness of picture. Just like with the Fire TV Stick you get access to the most popular streaming services like HBO, SHOWTIME, Hulu, Netflix, Prime Video, CBS, Sling, and more, and since it plugs right into your HDMI port you can take it with you anywhere as long as you have an internet connection and a TV or monitor to plug it into. Amazon Fire TV With 4K Ultra HD & Alexa Voice Remote$49.99Buy Now! You are reading an article on the Electronics Deals – Feb. 26, 2018: Fire TV Stick, UE WONDERBOOM, Fire TV & More. All materials on the site Gadgets F, а также и статья Electronics Deals – Feb. 26, 2018: Fire TV Stick, UE WONDERBOOM, Fire TV & More - written for the purpose of information enrichment and we are happy if you like our magazine.